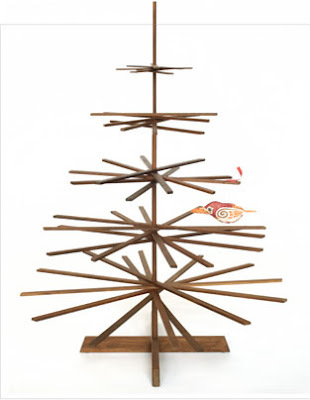 The Richard Babcock designed Possibilitree from DWR: Limited. Only seven were available and they seem to have been snapped up quickly. DWR:Limited is just what the name suggests - a limited run of items, vintage and modern, with a different one available daily for the next three weeks. Enjoy! Ooo...neat! I have a bunch of paint sticks in my garage... think I could make one? When you have finished your window trim I think you may need a new project - post photos when it's done!